This rubber weight belt will not slip off as you descend. The belt can be stretched tight at the surface and will then compress as you descend. It will then expand during ascent, keeping you comfortable throughout your freedom or scuba dive. 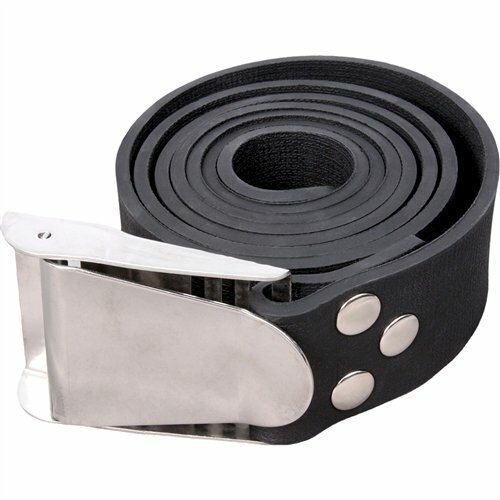 Features a stainless steel Cam buckle which has three rivet points into the rubber belt. The belt measures 60 inches in length. Fantastic for free diving, spearfishing and scuba diving. If you have any questions about this product by Innovative Scuba Concepts, contact us by completing and submitting the form below. If you are looking for a specif part number, please include it with your message.